Limited Edition (1,800). Base included. 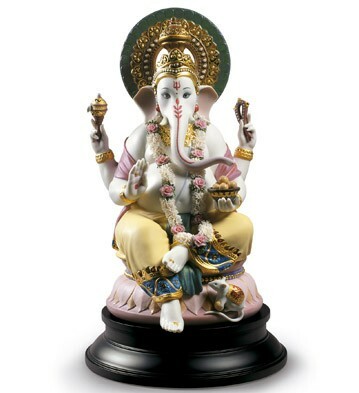 This beautifully designed sculpture is a combination of matte finish porcelain, golden luster, and vibrant colors. The garland around Lord Ganesha's neck contains over 250 handmade flowers.